The Best Massages at the Number One Spa in Cape Town! With its rainforests, turquoise waters and exotic scents, Thailand is the ultimate “get away from it all” holiday. Now ‘Mai Thai Wellness Spa’ in De Waterkant, Cape Town brings that holiday feeling back home. Indulge in luxurious pampering at our tranquil urban spa sanctuary designed with a focus on pure relaxation and wellbeing. 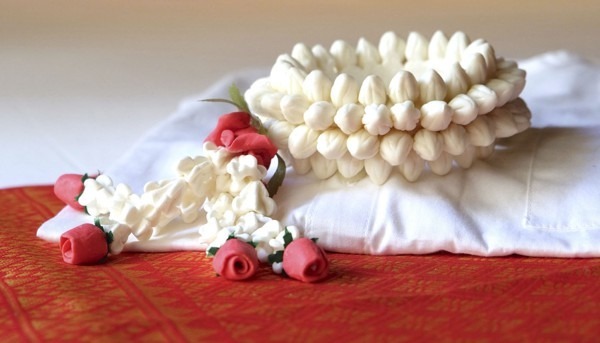 Mai Thai Wellness Spa offers world-class specialized massage treatments to suit every budget. Choose between 30 minute, 60 minute and 90 minute massage therapies (see information on each treatment below). We use 100% natural and organic products in all our massages, including unique oils from Thailand from the award-winning spa range by HARNN. Time Together…Enjoy the ultimate spa experience with someone special. Whether it be your partner, family or best friend, you can also have a luxurious massage therapy treatment in one of our couple’s treatment rooms together. To improve energy levels and relieve tension. Excellent for those with limited time and high levels of stress. Muscle tension, aches and pains can often hold us back from doing the things we need to do. This is where our ‘Back, Neck and Shoulders’ Massage can help you. It targets all the places you hold the most tension, especially if your job entails sitting at a desk or driving all day. With our traditional Black Pepper Balm from Thailand with Cocoa and Shea Butter, it works to help improve circulation and flexibility and reduce pain and stress. Air-conditioning and artificial lighting in the office environment can often cause headaches or migraines, as can sitting slouched in front of the computer or steering wheel. 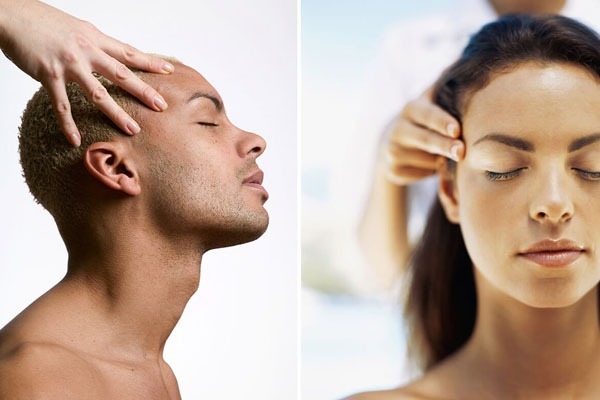 Discover the extraordinary benefits of our wonderful INDIAN HEAD MASSAGE based on the Ayurvedic system of healing, practised in India since ancient times. INDIAN HEAD MASSAGE is said to improve circulation in the head, enhance the senses, improve memory and promote clear thinking. It is thought to help those suffering from insomnia, tinnitis, vertigo and depression, as well as address the harmful effects of cell phone radiation. This calming lymphatic face massage is a must for the weary traveller. With special detoxifying massage techniques, it helps to alleviate congestion and to re-energize and fortify the skin, nourishing from within. We use our all-natural hydrating facial oil with Patchouli, Ylang Ylang, Rose Geranium, Almond and Jojoba – an hypoallergenic 100% natural botanical combination with certified organic ingredients. Leaves no oily residue. Suitable for all skin types. Scalp, Neck, Shoulders and Upper Back only – without oil. An invigorating massage using palming techniques and pressure points to improve energy levels and encourage comfort and relief from headaches, chronic neck and shoulder pain. Put your feet up and get your energy back with our traditional foot massage with Tiger Balm to help re-energise the body. This highly effective massage therapy is the ultimate ‘quick fix’ for achey legs and feet. Each meridian point in the foot is linked to a part of the human body, such as the back or stomach, so it can reduce pain and help restore balance to the body in a non-invasive way. We not only work on the points of the feet, but massage the muscles and joints from foot to knee leaving you feeling like you are floating on air. NOTE: We use 100% natural and organic products in all our treatments, including unique oils from Thailand from the award-winning spa range by HARNN. All our massage oils are pure essential oil from natural renewable sources and distilled without the addition of any harmful chemicals. They leave no oily residue and do not clog the skin. This is the ultimate mood enhancing massage experience designed to help with jet lag, poor circulation, burnout and fatigue. Great for travellers, it is a perfect combination of East meets West, maximizing comfort with stretching and palming techniques to uplift and revive. With a choice of calming or rejuvenating award-winning organic oils from Thailand, you get the benefits of Deep Tissue Massage, Aromatherapy Massage and elements of Thai Massage to boost energy levels, restore agility, ease muscle tension and relieve stress. As the term implies, gentle massage is a lighter form of massage. It is a therapeutic hands-on technique using long strokes applied to the body’s soft tissues in order to promote relaxation and healing. Gentle massage should not provide any discomfort while the strokes are being applied. The therapist works only at the topmost layers of the muscles and surface of the body. 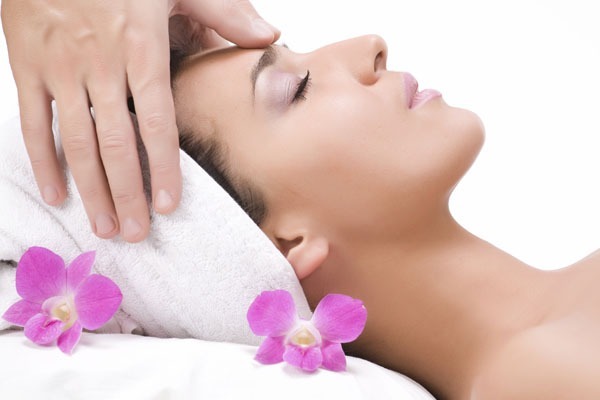 Aromatherapy Massage is the classic therapy for relaxation. It is particularly suited to conditions involving emotional or physical stress. Enhance your physical, mental and emotional wellbeing with a choice of heavenly botanical oils from Thailand to uplift your mood and renew and restore. This highly effective treatment is both corrective and therapeutic. It helps to release chronic muscle tension with the focus on the deepest layers of muscle tissue, tendons and fascia (the protective layer surrounding muscles, bones and joints). We use traditional deep tissue techniques and our special Black Pepper Balm from Thailand to improve blood flow, soothe muscle aches and ease tension. A modern treatment based on traditional lymph drainage therapy that helps to reduce cellulite, improve blood circulation and safely release toxins and inflammation from the body. In our Detox Massage we use an award-winning blended oil with stimulating, cleansing and eliminating properties. We can also incorporate Bellabaci Cupping Techniques to boost the detox and circulation benefits. This is the perfect massage for those being introduced to the ancient art of Cupping Therapy for the first time. (Cupping is optional and is at no extra charge). Your massage is followed by a cup of our famous organic ginger and white mulberry detox tea from The Tichaa Tea Room in Thailand. A completely relaxing full body massage using 100% safe effective Pre-Natal Techniques to bring comfort to your body during this important time of your life. Our pregnancy massage provides relief from: Back Pain / Carpal Tunnel / Headaches / Achy Feet/ Joint Pain / Sciatica / Anxiety and Depression. 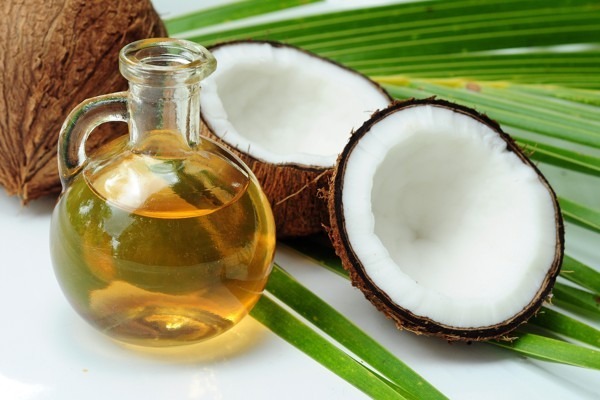 With a choice of award-winning 100% natural, organic, unscented or virgin coconut oils from the best of Thailand. Let us help you escape to paradise while soothing your aching muscles and nourishing your skin. * Please note that we do not perform any maternity treatments during the first trimester of a pregnancy. Warm and soothing, this is a wonderful natural therapy beneficial on both physical and psychological levels. Heated basalt stones are positioned on parts of the body to promote relaxation and to help warm up tight muscles. 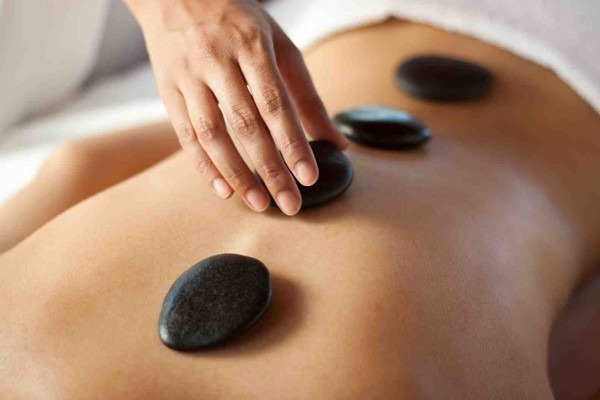 The high iron content in our basalt stones help retain heat for longer during the massage. The heat is beneficial in assisting the therapist to work well into the muscle tissue to help release toxins and increase lymphatic drainage. This massage is deeply relaxing, it increases blood and lymph circulation, soothes aching joints and gives your body a healthy glow. It is the ideal choice to improve the flow of energy in your body. NOTE: Hot Stone massage is not appropriate if you have diabetes, high blood pressure, heart disease, or are on medication that thins your blood. You should not have a hot stone massage if you are pregnant or sunburnt. You may also want to reconsider if you are menopausal, as it may trigger a hot flash. Discover one of the world’s oldest healing modalities…Thai Massage is an intense experience where the therapist uses her hands, elbows, knees and feet to restore the body to a state of harmony. The combination of energetic and physical aspects is what makes it so unique. Thai massage used to be performed by Buddhist monks and is known in Thailand as “nuat phaen boran” (the ‘ancient-manner’ massage). It is a beneficial form of massage therapy which dates back thousands of years! This bodywork is usually performed on a low bed, and the client wears comfortable clothes provided by the spa that allow for movement. No oils are used in this massage. Traditional Thai Massage helps to reduce stress, promote blood circulation, increase vital energy and improve range of motion. An authentic traditional aromatic massage beloved in both Thailand and Africa applied as part of Deep Tissue Therapy. The compress consists of numerous herbs that are steamed and placed on the body to improve circulation and ease muscle tension. A good massage for the winter months. 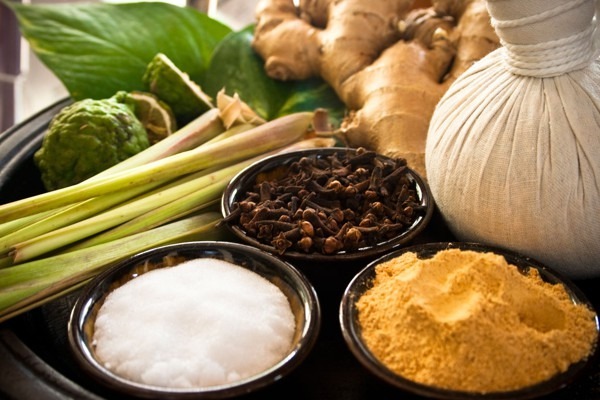 NOTE: Always check with your doctor before getting a Herbal Compress Massage; individuals with certain conditions — including pregnant women and people with diabetes or high blood pressure — are advised to avoid this type of therapy.